Google the health benefits of stinging nettles, and you will find the most incredible list of diseases and complaints that this plant has been attributed to helping with- everything from hay-fever and arthritis, to supporting menopause and detoxifying the body. Of course many of the claims are anecdotal, but there is also some robust research out there that backs up some of the suggested benefits. 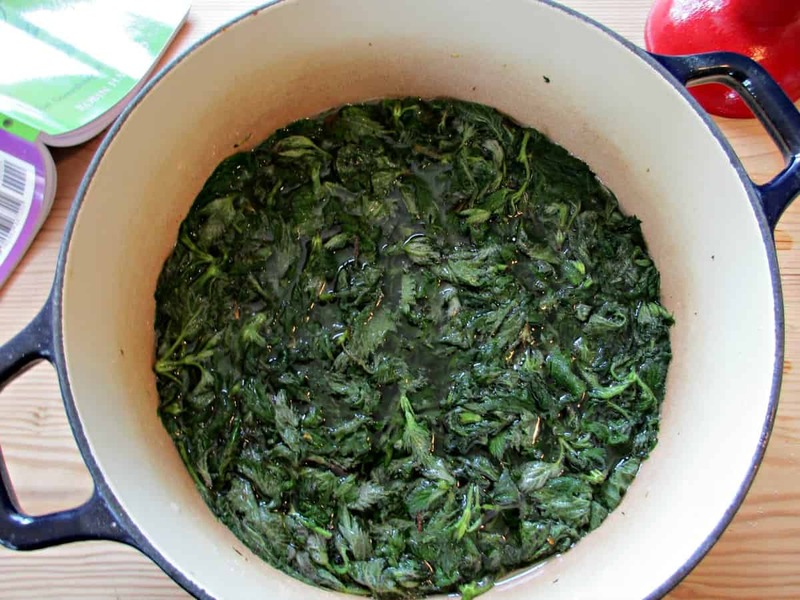 All this sounds great, and we even have patches of nettles growing in our garden, but persuading my kids that they are going to start eating nettle soup a couple of times a week is not so easy. In my experience, introducing new foods is a lot easier if it a. tastes great, and b. the kids can relate it to things they already know and love. 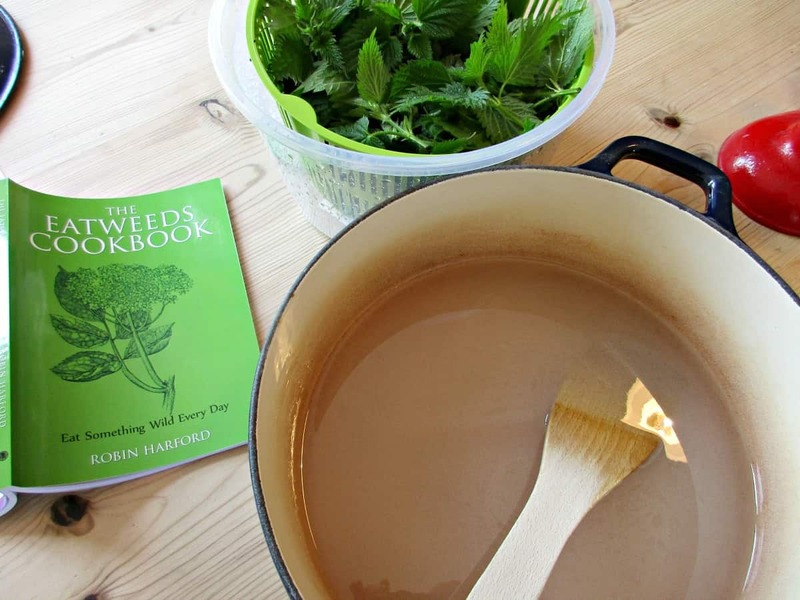 This recipe, which I got out of the book ‘The Eatweeds Cookbook’ by Robin Harford looked like the perfect place to start, and we couldn’t wait to give it a go. 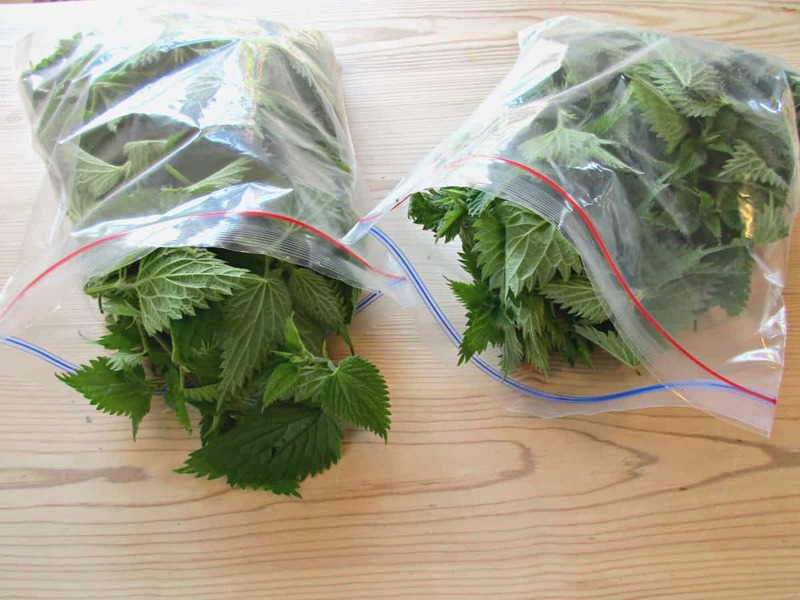 I collected our nettle tops in freezer type bags, imagining that a bag of spinach must be about 100g. I wore gloves, used scissors to cut off the top portion of the nettles, and let them drop straight into the bags. This worked great – I didn’t get stung, it didn’t take long to collect them, and it made weighing really easy. I did wash the nettles really well, and had a good look to check I hadn’t included any other plants by mistake. The recipe suggests using a salad spinner to dry the leaves which I did. Combine the sugar, citric acid and water in a large saucepan and heat it to 60 C (I stirred it while I had it on the heat, and the sugar dissolved). Then remove it from the heat, throw in the nettles, and give it a really good stir to ensure all the nettles get covered with the syrup. Cover and leave for a week, giving your mixture a good stir each day. As the week went on the nettles looked more and more macerated and slimy. 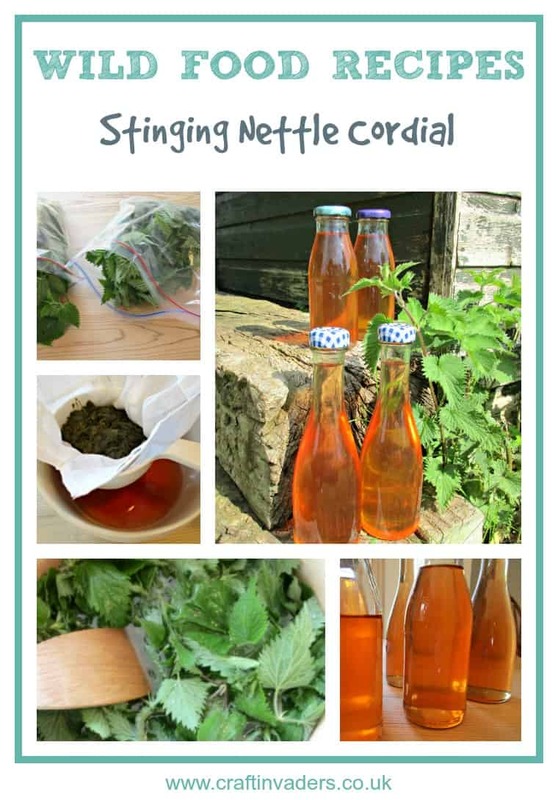 After a week, strain the nettles (I used a jelly bag in a sieve) and bottle in sterilised bottles. Remember to let your bottles cool for a few minutes before adding the cold cordial, or you may end up with the glass cracking. The resulting cordial is lovely. It is a beautiful amber colour, really syrupy (like a Bottle Green cordial) and tastes not quite like anything I have tried before. Hubby describes it as tasting a bit like peaches with a hint of elder-flower, I think it tastes a little like lychees and sherbet. I would definitely recommend giving it a try. I am expecting the cordial to keep pretty well, due to the citric acid and amount of sugar. I am storing it in the fridge, and will come back and update the post if that turns out not to be the case. I love the thickness of this cordial, and will be using this method to make both elder-flower and meadowsweet cordial as soon as they flower. I also managed to think up a use for the leftover nettles that I strained out of the cordial – you can check out our recipe for Stinging Nettle, Apple and Pear Fruit Leather here. For more Nettle recipe inspiration check out our delicious Nettle Crisps and our Nettle Liqueur. 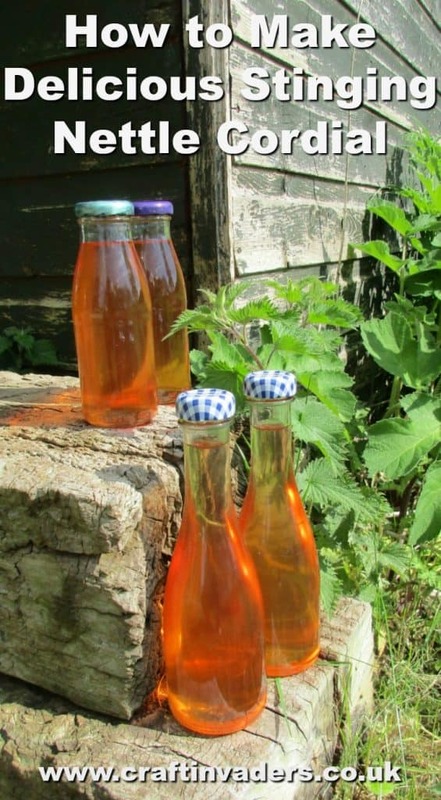 If you’d like to try your hand at another wild cordial. 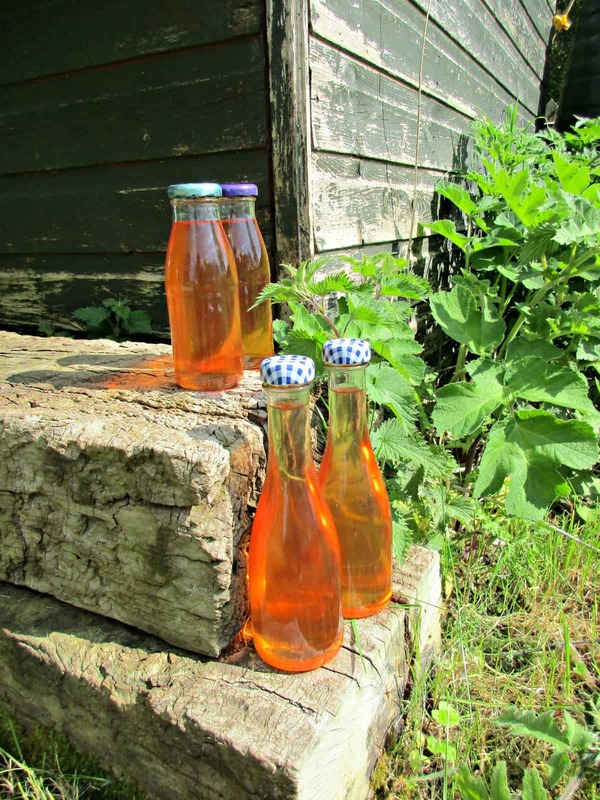 our Meadowsweet Cordial also tastes divine. I’d love to try this! During the week, do you keep it in the refrigerator or counter? Covered or uncovered? Just made it and waiting for a week to pass. How did it keep? I’m so please you’ve made it Rebecca, I’m sure you will love it. We keep ours in the fridge and although I’ve never had a batch go off I’ve always aimed to use it up in about 6 weeks. Let me know what you think when yours is ready! Hi can you use fresh nettles without having to make the cordal ,? About how much ‘finished product’ did this make? I can’t wait to give it a try! It’s really delicious Jenny – did you see we made fruit leather with nettles too? The kids absolutely love it! This is wonderful! My husband would love this, so I’ll be sure to share it with him. I had no idea nettle could be used this way! You are really amazing. I always love coming here, I know it’s going to be an adventure! 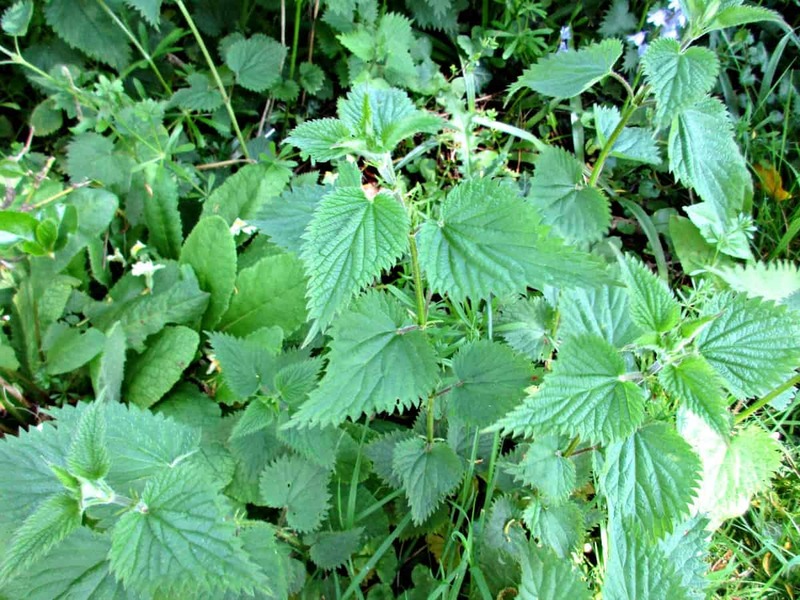 We had nettles all over when we were kids, we lived in a woods. I remember what it was like to come home and have nettle bites all over our legs and arms. Boy did it hurt! Amazing to think that these plants are so good for us! Oooh definitely going to try this – love making things out of foraged ingredients! Sarah you’re gonna laugh at me but I had to look up the word nettle because I recognized the picture but could not believe that it was actually the stinging plant. I look at them and run away. I had no idea they had health benefits. They are plentiful everywhere. I will definitely give this a try! I hope you can join us tomorrow for our new link party, Sweet Inspiration. this sounds great! 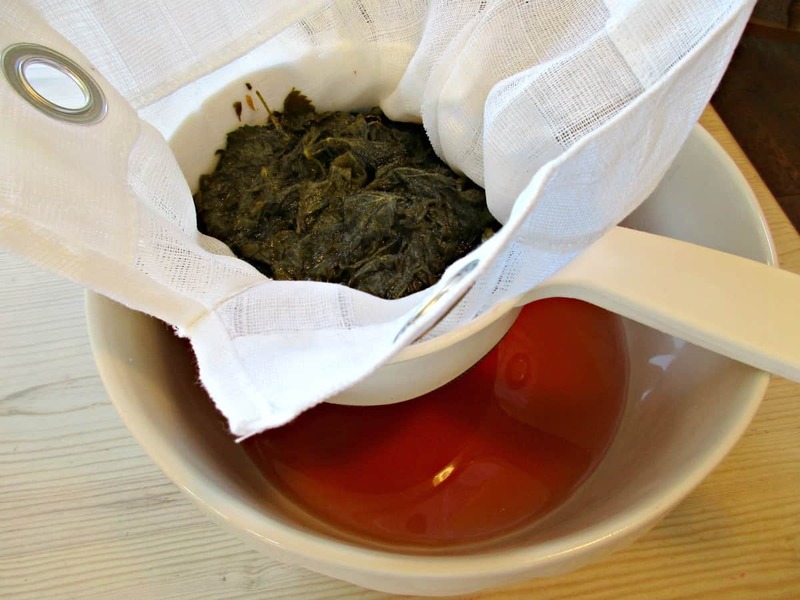 I sometimes drink nettle tea.